The start of the new year is a time of resolutions, goal setting, and a fresh start. 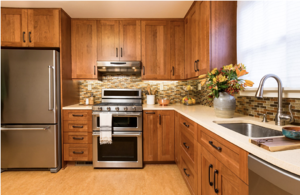 With 2019 now upon us, one of the best ways to celebrate this fresh start is with a fresh and clean home! It might sound trite but cleaning your house can boost your mood! Of course, a clean house won’t mean life’s troubles have all been scrubbed away, but you’ll be amazed at how great you feel when your house is clean. Use our tips and tidy up… you’ll love how you feel! Your home's dryer vent should be routinely cleaned and maintained in order to avoid hazardous situations, such as fires, and to ensure that your dryer works as efficiently as possible. 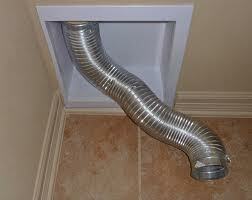 By inspecting your vent and cleaning it when necessary, you can prevent these issues from becoming a serious problem. These tips from First Coast Home Pros can help you to identify and correct any issues that may arise with your home's dryer unit. As any homeowner will tell you part of owning a home is upkeep. Part of this upkeep includes pressure washing. 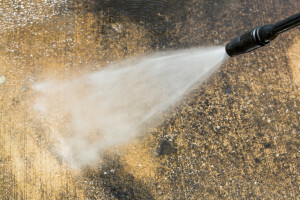 Pressure washing is used to clean exteriors and concrete. It works by using a high-pressure water stream to spray down a treated surface. Often the surface to be cleaned is treated with chemicals or cleaning solutions. For proper cleaning of your driveway or many other services on or around your home, pressure washing is an ideal solution. As always consult a professional for proper cleaning services. By using low pressure washing you can make sure your roof is free from unsightly algae growth. Algae are damaging and can lessen your roof’s lifespan. By not cleaning your roof, repairs may be more frequently needed. Aside from causing damage roof algae also lessens the overall effectiveness of roofing.